U.S. Ambassador Nikki Haley to the UN. 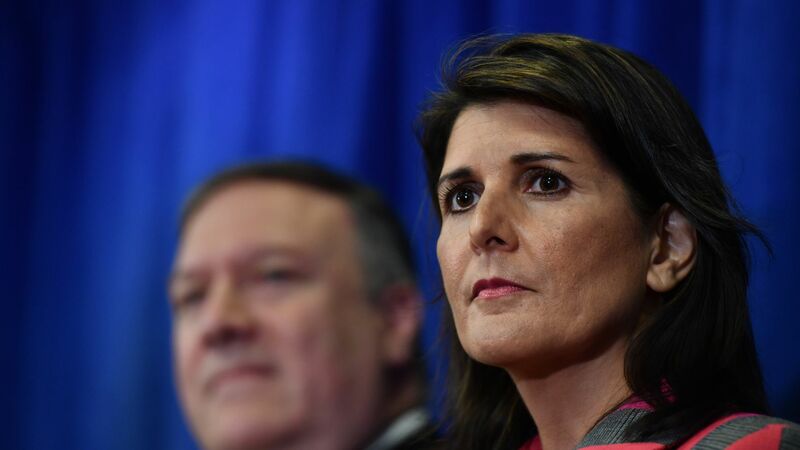 President Trump has accepted Nikki Haley’s resignation as UN Ambassador, according to two sources briefed on their conversation. The timing of her departure is still unclear, the president promised a “big announcement” with her at 10:30 a.m.